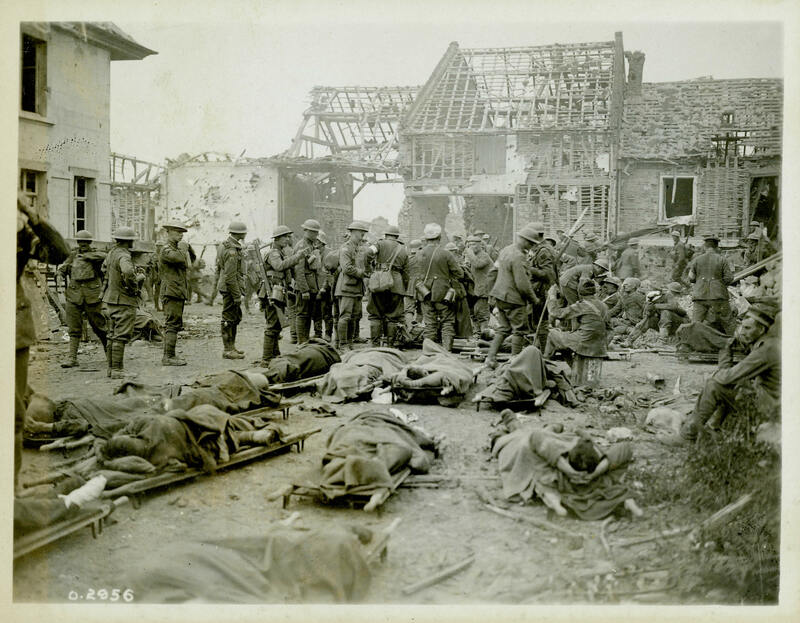 Canadians wounded at the Battle of Amiens lying outside of the 10th Field Ambulance Dressing Station. German prisoners of war are also dispersed through the crowd. They likely carried some of the wounded back to the dressing station and are now waiting for someone to direct them to a prisoner of war cage.